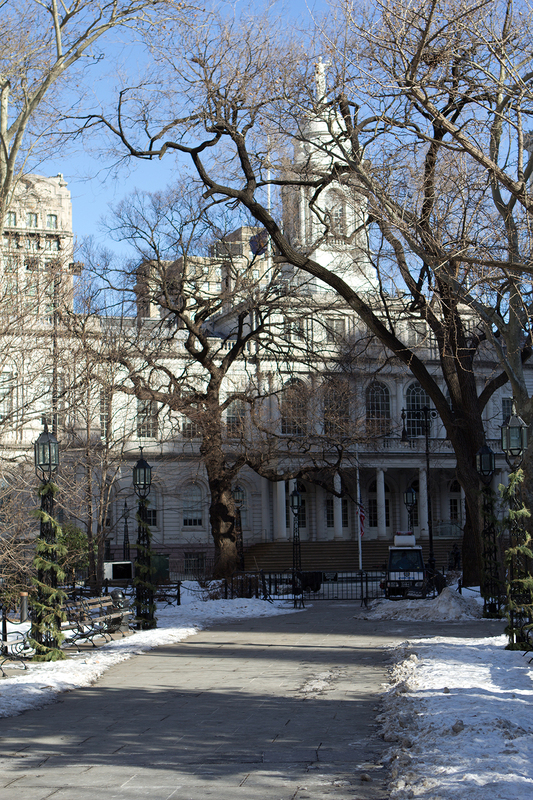 City Hall is often overlooked by visitors to New York, but is worth a little planning if you’d like to visit. Tours are free of charge and take place every Thursday (for individuals). You must have reserved in advance via City Hall’s website or by telephone. Tours are available for groups (if you are travelling in one) on other days. Entry without a pre-booked place on a tour is unavailable. 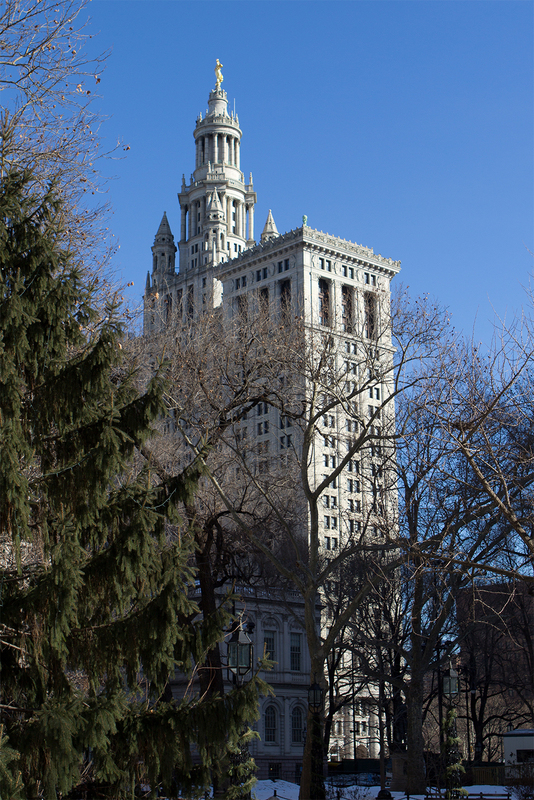 It’s possible to visit both City Hall and Tweed Courthouse. City Hall actually has an important collection of early American portraiture, as well as a desk used by George Washington in Federal Hall. Tweed is home to thirty vast courtrooms, and the Department of Education. The park outside City Hall is a public space, and in the summer is a popular lunchtime spot with office staff. In winter, under the snow, it’s still pretty, but the desire to perch on a wet bench and freeze was less than overwhelming. In particular I fell in love with the lampposts. 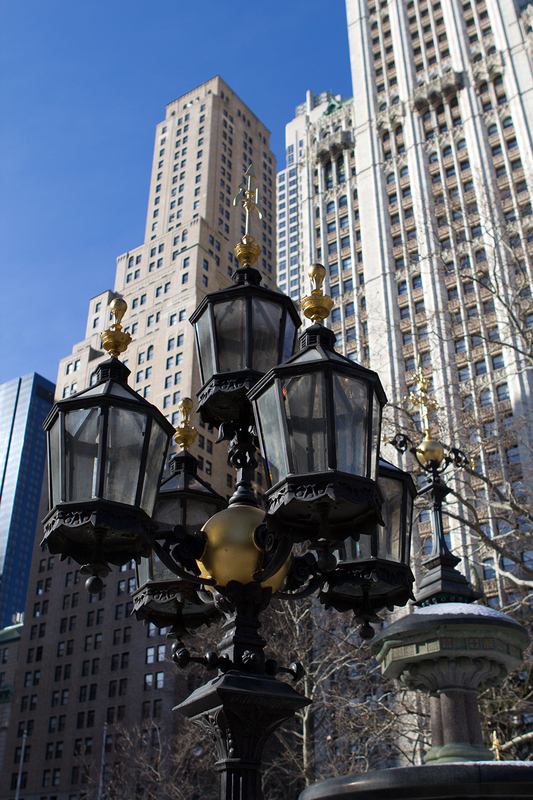 They were more ornate than those in Central Park, and had a very Victorian flavour. Follow the bike path and it will lead you straight to the Brooklyn Bridge. The nearest Subway is City Hall / Brooklyn Bridge. Admission: Free. You must reserve in advance to enter either building.